← Is Jerry Brown Chicken? Rumors are rife that a deal has been brokered to guarantee a rosy future for Nicky Diaz, the illegal alien housekeeper who accused California gubernatorial candidate Meg Whitman of employing her for nine years and then refusing to “help” when confronted with her illegal status. 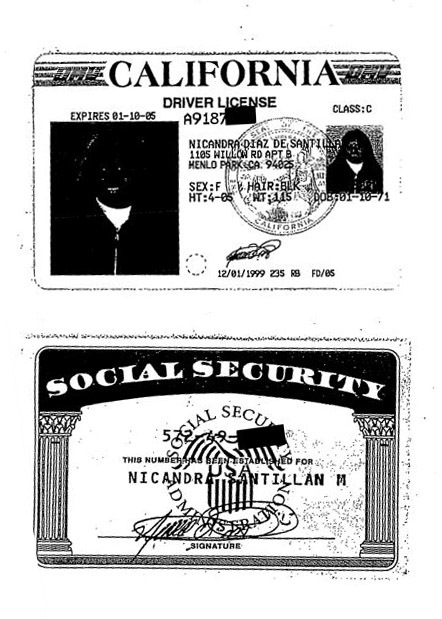 Diaz was fired by Whitman in June 2009, after admitting that she was an “illegal” and had lied in her job application using a forged driver license and social security card. According to Nicky’s attorney, Gloria Allred, Diaz had been unable to find work, and was depressed and desperate. Allred stated that Diaz had asked Meg Whitman for “help” in becoming a legal citizen, however, Allred refused to answer questions as to exactly what type of “help” was legally available. Immigration law experts have opined that a person in the same position as Diaz (who cannot claim asylum based on a threat to her life), has only one option; return to Mexico and apply for residency, a process that takes time and money, neither of which Diaz had since losing her $23/hour job as Whitman’s housekeeper. Although there is no doubt that Whitman, the billionaire former eBay CEO, could have paid Diaz, Allred made it clear that Whitman had refused to do so. Diaz, it seems, had no choice but to go public with her story, no doubt in the hope that the considerable embarrassment and disruption to Meg Whitman’s campaign would be appreciated by democrats who are supporting Whitman’s main rival, Jerry Brown. Rumors now circulating indicate that a wealthy democrat fundraiser has indeed agreed to pay Nicky a lump sum of $50,000 to help with her moving costs, and employ her as a housekeeper at a luxurious Puerto Vallarta villa. The resort, known as the Mexican millionaires paradise, has become popular with wealthy Americans because it offers the privacy and luxury not easily available in the US, as well as private security to insulate residents from the Mexican drug cartels that often prey on visitors. It is not clear whether Diaz will continue to be paid the $23/hour she earned working for Whitman, however, as most Mexican workers with Diaz’s skill set do not make $23 a week, she will be unlikely to complain of the pay or the hours, as was the case with Whitman. At around 4,000 square feet, this type of villa is slightly larger than the 3,700 sq.ft. Whitman residence where Diaz worked, however, as owners of these villas only stay there occasionally (usually for long weekends), Diaz will have a lot of time to herself and her family to enjoy their new lifestyle. One big difference for Diaz will be the kind of visitors she will find herself serving. Villas in this area are frequently used for highly private visits from persons such as former US President Bill Clinton and Irish music millionaire Bono of U2, as well as other important figures in the entertainment industry and financial markets. Diaz will have to adapt to driving more expensive and luxurious cars when ferrying her new boss and his guests to and from the airport, or running errands. 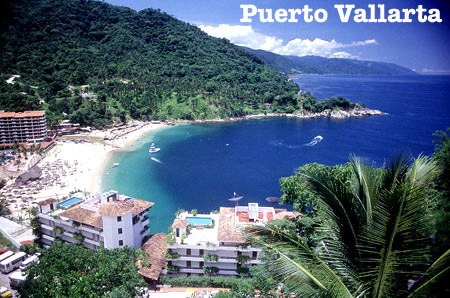 Her old Ford Aerostar Minivan will seem a lifetime away from the Cadillac Escalade EXT typically favored by Puerto Vallarta’s elite. Tennis pro Anna Kournikova (above) drives a Cadillac Escalade EXT, and the vehicle is a popular choice for other celebrities in the resort. Because the otherwise fairly mundane story of one as many as 12 million illegal aliens believed to be living in the US has become a national, if not international news event, Nicky and Jesus are highly likely to become celebrities in their own right in Mexico. This could prompt with Mexican language TV stations like Univision to offer them their own reality tv show. Producers are probably already pitching the idea of a show based around the hardships and obstacles that Nick and Jesus will face as they adapt to their return to Mexico as heroes having scored big in the American dream that inspires so many to cross the border in search of the good life. The payoff for Nicky could be huge, allowing her to earn enough to own her own villa and leave the life of servitude forever. But above all else must be the service Nicky and her attorney have done for Jerry Brown’s campaign, and should Brown win the November election, Jerry is certain not to forget the help they’ve given his campaign, and a lavish party in Nicky’s honor would be a fitting ‘thank you’ for her service. News of Nicky and Jesus’s new fortune is virtually guaranteed to keep the story alive in the final weeks of the election, and is therefore likely to achieve even more coverage than her first news conference. It certainly has been a week of remarkable turnarounds in fortune for Nicky, Jesus and Jerry. This entry was posted in Crime, Los Angeles, November 2010 Election, Politics and tagged Anna Kournikova, Attorney, Bill Clinton, Bono, Cadillac Escalade EXT, California, Forged Documents, Forgery, Gloria Allred, Governor, Housekeeper, Illegal Alien, Infinity Swimming Pool, Jerry Brown, Luxury, Meg Whitman, Nicky Diaz, Puerto Vallarta, Reality TV Show, U2, Unavision, Villa. Bookmark the permalink. I find it hard to believe that this outrageous arrangement to pay this illegal alien is legal. There must be something that Whitman can do to stop it. It is a disgrace and an offense to decent people. I don’t feel that strongly about illegal immigration, but actually making money out of being a liar and cheat is unconscionable. It’s also way too convenient that this “dream job” and payoff was arranged so quickly. This must have been planned a long time ago. Thank you for telling the truth about this. Nobody can understand why this woman Nicky is doing this, now it makes sense. As a Mexican-American I am embarrased and ashamed to be compared to her. She is not liked by our community and when she goes back to Puerto Vallarta, she better be prepared to be hated, not treated like a hero. She makes me sick. Everyone’s been wondering what’s in it for Nicky and Gloria? Neither one of them look like the sort of people who do something for nothing, so it would make sense that they’ve done a deal like this. I hope the media picks up on this before it’s too late.